You probably don’t even realize that target marketing is killing your business. Some of you probably didn’t even concern yourself with figuring it out. It’s one of the biggest reasons small businesses fail. They don’t know who their customer is so they don’t know how to talk to them. If you can’t convey your value to your customer, you’re dead in the water. 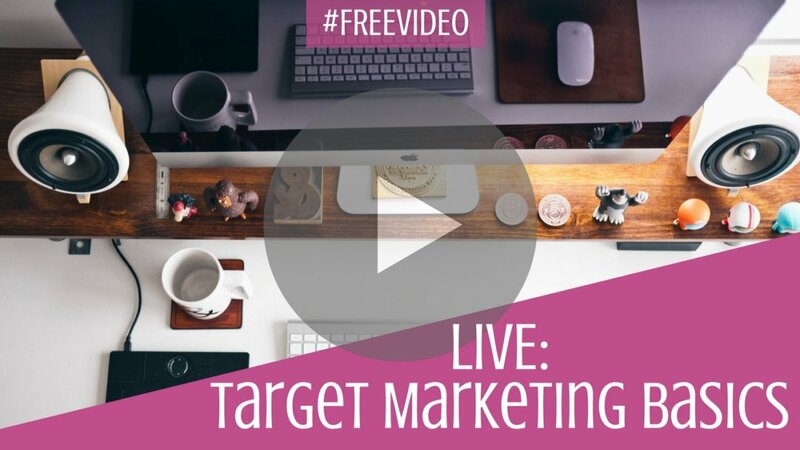 Watch the Facebook Livestream from today and let me know if target marketing is killing YOUR business. Don’t forget to tune in tomorrow on my page at 11am EST. I’ll be dishing about engagement. How do you get people to engage with you in email? … in your business in general? If you’re struggling to get people to respond when you talk about your business, set your alarm and meet me on my page. If you can’t make it and want to have your question answered live drop me a line here, by email or on my page.